Lestar Quimica is part of the Baerlocher Group of Companies. In Europe and Asia, South America and the United States or at the company’s headquarters in Germany, Baerlocher operates as a global player with its research laboratories and production facilities around the world. 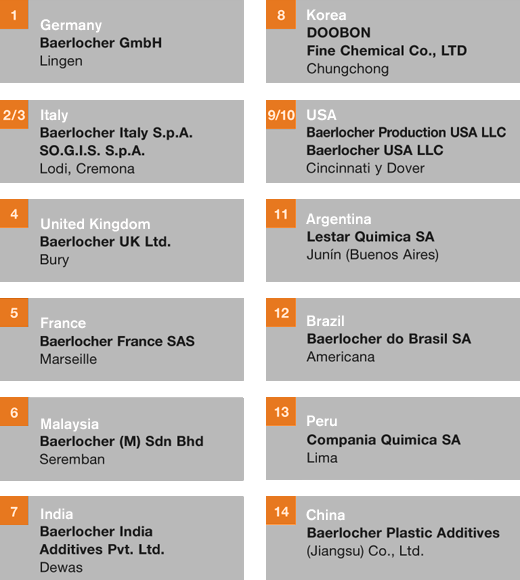 The Baerlocher Group of Companies is present with 14 production plants in all major countries. For Baerlocher it is essential to think global and to act local. This enables a close relationship to customers worldwide as well as the availability of the same product quality on a global basis.